Licinius I - Roman Emperor: 308-324 A.D. Bronze AE3 19mm (2.95 grams) Cyzicus mint: 317-320 A.D.
IMPLICINIVSAVG - Laureate, draped bust left, holding mappa and scepter on globe. You are bidding on the exact item pictured, provided with a Certificate of Authenticity and Lifetime Guarantee of Authenticity. In Roman mythology, Jupiter or Jove was the king of the gods, and the god of sky and thunder. He is the equivalent of Zeus in the Greek pantheon. He was called Iuppiter (or Diespiter) Optimus Maximus ("Father God the Best and Greatest"). As the patron deity of ancient Rome, he ruled over laws and social order. He was the chief god of the Capitoline Triad, with sister/wife Juno. Jupiter is also the father of the god Mars with Juno. Therefore, Jupiter is the grandfather of Romulus and Remus, the legendary founders of Rome. Jupiter was venerated in ancient Roman religion, and is still venerated in Roman Neopaganism. He is a son of Saturn, along with brothers Neptune and Pluto. He is also the brother/husband of Ceres (daughter of Saturn and mother of Proserpina), brother of Veritas (daughter of Saturn), and father of Mercury. 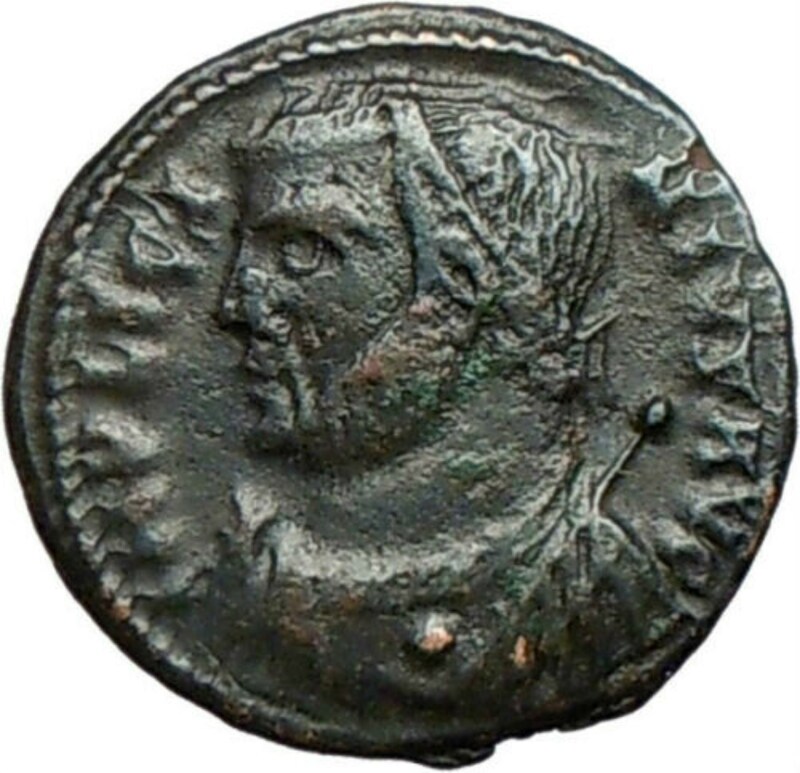 Licinianus Licinius (c. 263 - 325) was Roman emperor from 308 to 324. Of Dacian (Thracian) peasant origin, born in Moesia Superior, Licinius accompanied his close childhood friend, the Emperor Galerius, on the Persian expedition in 297. After the death of Flavius Valerius Severus, Galerius elevated Licinius to the rank of Augustus in the West on November 11, 308. He received as his immediate command the provinces of Illyricum, Thrace and Pannonia. On the death of Galerius, in May 311, Licinius shared the eastern empire with Maximinus Daia, the Hellespont and the Bosporus being the dividing line. In March 313 he married Flavia Julia Constantia, half-sister of Constantine, at Mediolanum (now Milan); they had a son, Licinius the Younger, in 315. Their marriage was the occasion for the jointly-issued "Edict of Milan" that restored confiscated properties to Christian congregations and allowed Christianity to be professed in the empire. In the following month, on April 30, Licinius inflicted a decisive defeat on Maximinus at the Battle of Tzirallum, after Maximinus had tried attacking him. 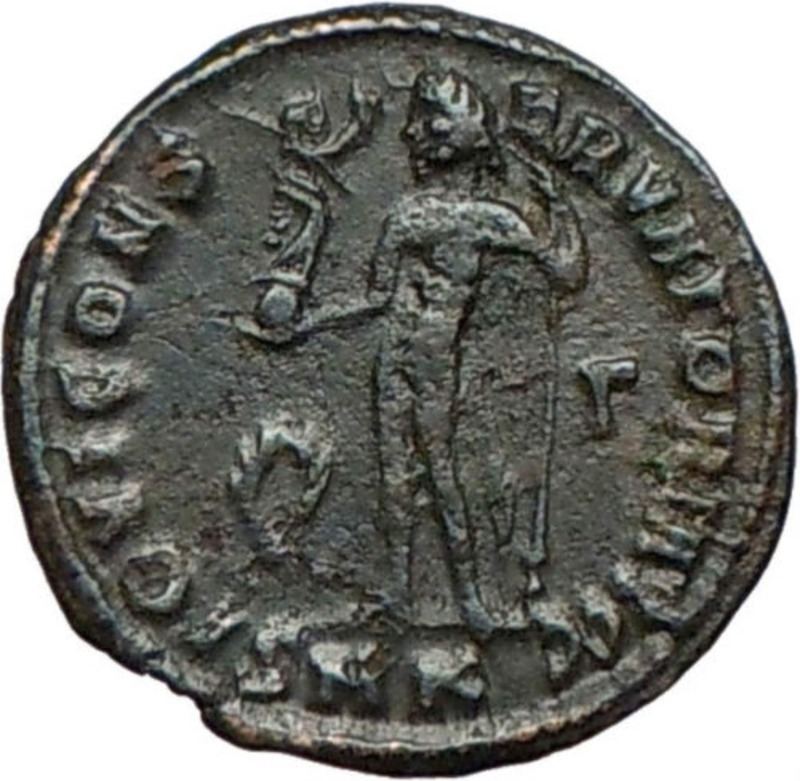 Then, Licinius established himself master of the East, while his brother-in-law, Constantine, was supreme in the West. In 314, a civil war erupted between Licinius and Constantine, in which Constantine prevailed at the Battle of Cibalae in Pannonia (October 8, 314) and again two years later, when Licinius named Valerius Valens co-emperor, in the plain of Mardia (also known as Campus Ardiensis) in Thrace. The emperors were reconciled after these two battles and Licinius had his co-emperor Valens killed. Licinius' fleet of 350 ships was defeated by Constantine I's fleet in 323. In 324, Constantine, tempted by the "advanced age and unpopular vices" of his colleague, again declared war against him, and, having defeated his army of 170,000 men at the Battle of Adrianople (July 3, 324), succeeded in shutting him up within the walls of Byzantium. The defeat of the superior fleet of Licinius in the Battle of the Hellespont by Crispus, Constantine’s eldest son and Caesar, compelled his withdrawal to Bithynia, where a last stand was made; the Battle of Chrysopolis, near Chalcedon (September 18), resulted in Licinius' final submission. While Licinius' co-emperor Sextus Martinianus was killed, Licinius himself was spared due to the pleas of his wife, Constantine's sister, and interned at Thessalonica. The next year, Constantine had him killed, accusing him of conspiring to raise troops among the barbarians. For unknown reasons, Licinius was traditionally for centuries throughout the entire Serbian historiography considered as a Serb and as a forefather of the House of Nemanjić. This only changed with historical accounts of Slavic migrations by 19th century historians.